You already know that shopping for a car from the comfort of your computer is the most effective way to get the best price. Most dealers have adapted to this method of car buying, but here are some hilarious cases from dealers who haven’t figured out how to internet. Even though industry-wide car sales are down compared to last year, in the past few weeks as part of my car buying consultant business I’ve received a surprising number of quotes from dealers who, for whatever reason, did not see the need to offer any kind of competitive pricing. At all. On surprising choices. This first one comes from a Toyota dealer regarding a 2017 Avalon. Now keep in mind that 2018 Avalons are currently on the lots, and that sedan sales are struggling in the face of crossover madness, and that the latest Avalon isn’t any sort of new car. “The price we can offer you is listed below” which is a price I had to call for. Not only are dealers having a hard time moving sedans, larger sedans like the Avalon are finding an even a more difficult time scoring buyers. You would think this store would have at least thrown a number out there in an attempt to move some inventory. Similar to the Avalon situation, I received a quote on a 2017 Honda Accord Hybrid with the following price. Apparently, this particular store was unaware that the all-new 2018 Accord is due to arrive soon, and that most Honda dealers are being insanely aggressive with their prices to offload 2017 inventory. A $1,000 discount would have been sad even when Accord sales were hot, let alone at a time when a redesigned model is about to take over. 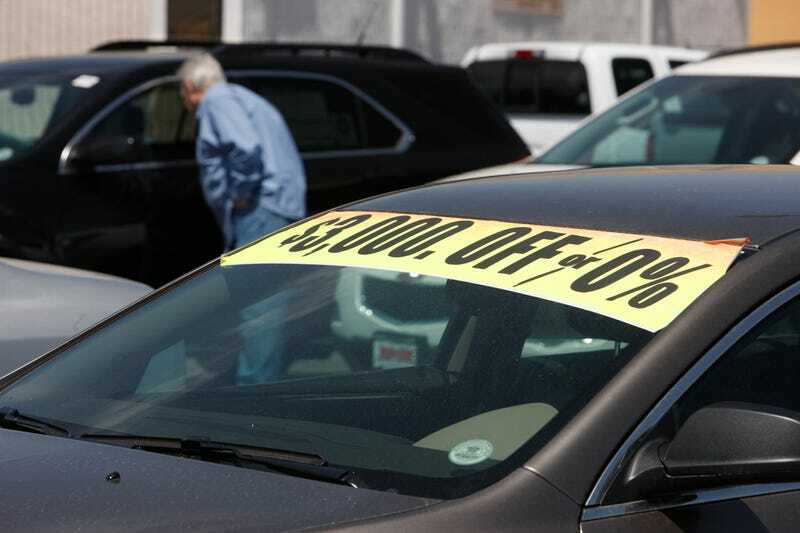 Speaking of crossover and SUV sales, some dealers seem to believe that because these vehicles are so popular they don’t need to discount them at all. Here is an example from a Chevrolet dealer regarding a Tahoe. You and your manager must have had a really heated discussion as to how aggressive you wanted to be to earn this customer’s business. You came down an impressive zero dollars on something as common as a Chevrolet Tahoe. My favorite email came from a Volkswagen dealer who said this, in regards to a quote on a brand new GTI. Now this dealer did tell me on the that the $500 discount was the “only way he could combine a low price with the special financing.” But when I ordered my GTI with the performance package in 2015, before Dieselgate and when MK7 GTIs were a bit of a hot commodity, I was able to get a price below the dealer invoice and get whatever the low financing VW was offering at the time. This VW store seemed unfazed by the fact that the updated 2018 GTI, with more power and upgraded technology, is arriving soon. So what do these pathetic price quotes illustrate? Basically that some stores just aren’t interested in earning your business. In order to really determine what a competitive price is you need to solicit several quotes from multiple dealers. Some of them will send you their best price and be willing to fight it out, while others just simply can’t be bothered.